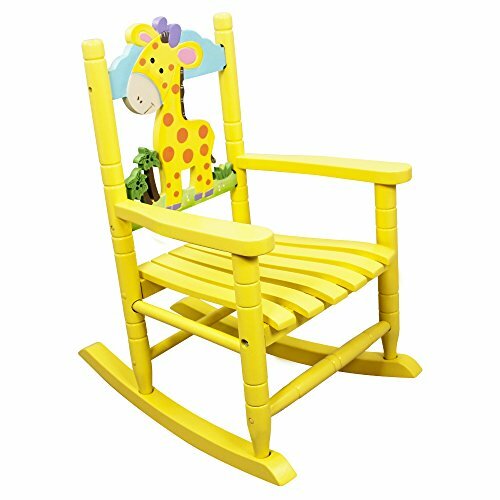 Have your child rock with Fantasy Fields' beautifully themed Giraffe Rocking Chair. The hand crafted and painted art work brings the rocker to life and sparks your child’s imagination. Chair features a dandelion yellow paint, with a mural of a baby giraffe against the headboard. Some assembly required. Perfect for ages 2 and up. If you have any questions about this product by Teamson Design Corp, contact us by completing and submitting the form below. If you are looking for a specif part number, please include it with your message.